The recent death occurred of Oliver Flannery Tubbercurry at the age of 88. Oliver was a popular and highly respected gentleman in Tubbercurry and indeed throughout Co. Sligo and beyond. Born in 1929 and after graduating in Pharmacy from UCD he returned to Tubbercurry and took over the family Pharmacy known as Flannerys Medical Hall where he spent all his working life. It was always a pleasure to visit Oliver in the shop. He had an outstanding knowledge of Chemistry and he was courteous, kind and helpful to all his customers. His knowledge of all things Tubbercurry and surrounding areas was legendary. Even in his more senior years it was a pleasure listening to him recall the names of the businesses, residents and characters of the town and the locality. On his return to Tubbercurry in the early 50s he joined the committee of the Western Drama Festival which his father Dr. John A. had co-founded just a few years earlier in 1944. Oliver continued to serve with distinction right up until his death holding many officer positions including Secretary, Treasurer and President. He loved the theatre and took a special interest in encouraging youth involvement and bringing new and developing drama groups to participate in the Drama Festivals. He acted in numerous plays over five decades with his beloved Phoenix Players. His speciality was voice projection and encouraged many an actor to ‘’ hit the back wall’’. 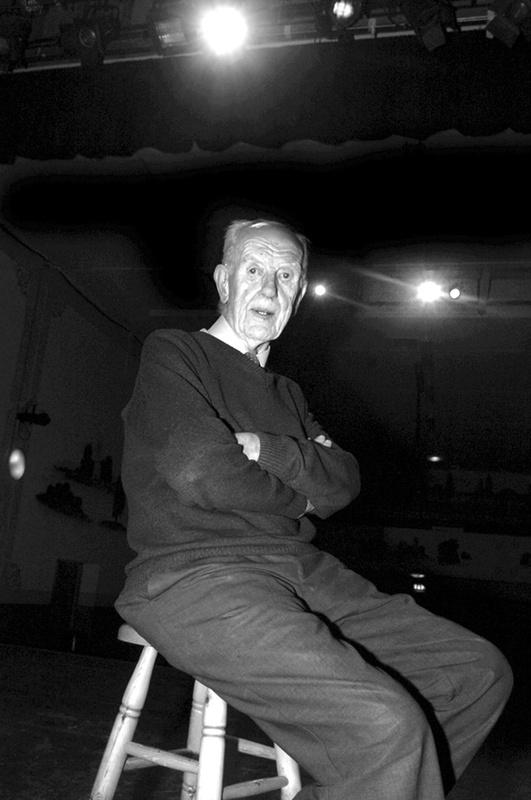 Oliver also had a great love of photography and had a considerable collection including an extensive number of photos he captured of participants in the Drama Festival and Phoenix Players. It was a source of great pleasure to him when several of his prints were framed and put on permanent display in the Supper Room in St Brigids Hall. The Western Drama Festival committee extends its sincere sympathy, to his wife Phil, his daughters Therese, Anne, Kathryn, Bernie, Josina, sons John and Colm, 10 grandchildren, sons and daughters in - law, sisters in- law, nephews, nieces and a wide circle of friends. May his gentle soul rest in peace.